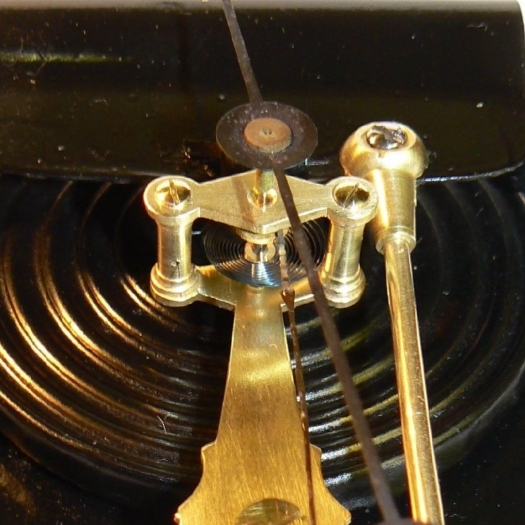 We offer a complete Barometer and Barograph repair service including pressure testing and calibrating. We cover all aspects of repair and restoration of mercury stick and wheel barometers, including replacement of mercury siphon tubes and mercury as well as re-silvering and waxing dials and restoring casework. 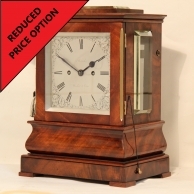 We also caary out all work to aneroid barometers including bevelling and fitting new bezel glass and Mr.Taylor even repairs and reseals capsules. 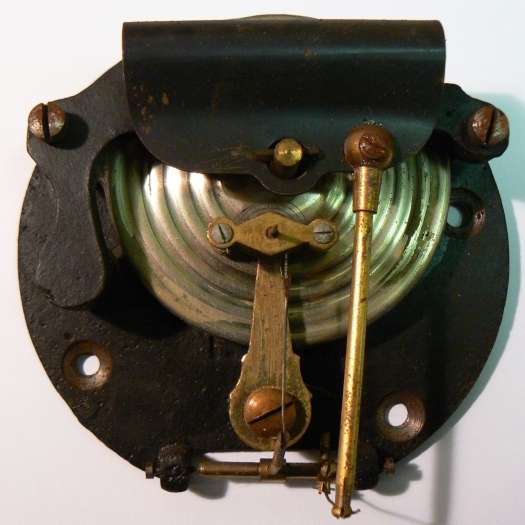 Some of the photographs on the right show a typical Aneroid movement before and after restoration. 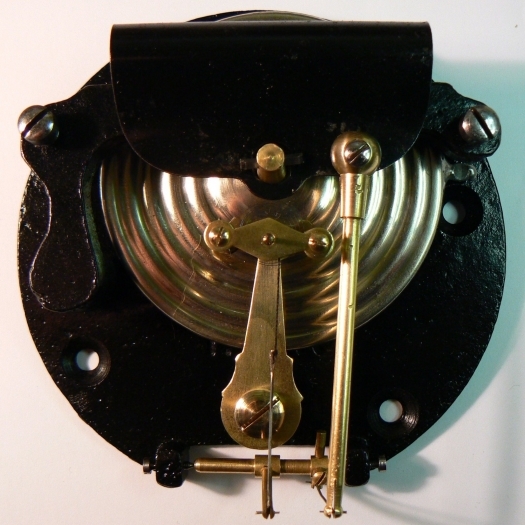 It was completely dismantled, cleaned of corrosion and dirt, pivots polished in the lathe the ruptured capsule repaired and then assembled, lubricated and calibrated. 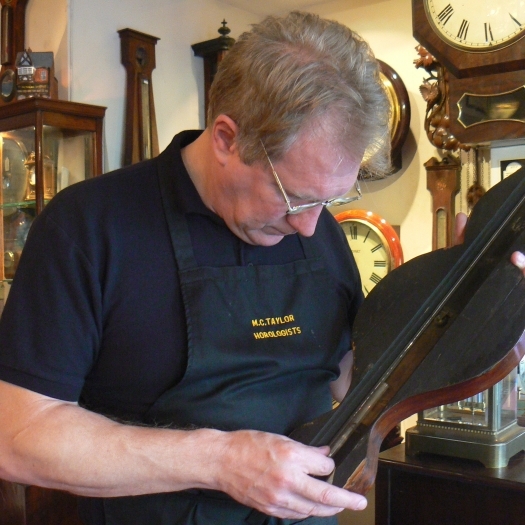 All Barometers are our speciality and Mr. Taylor is considered by many to be the UK's finest barometer restorer and Barologist. 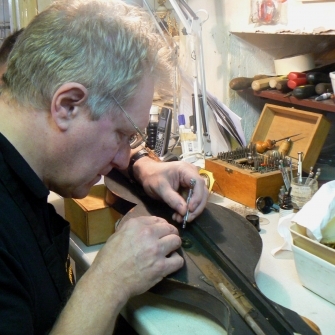 He personally undertakes all the work himself including servicing and fitting new tubes, adding quicksilver and making authentic and traditional parts as well as undertaking case restoration, dial re-silvering and French polishing etc. 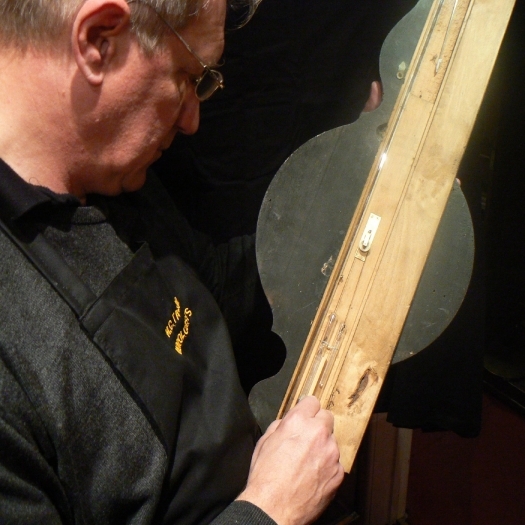 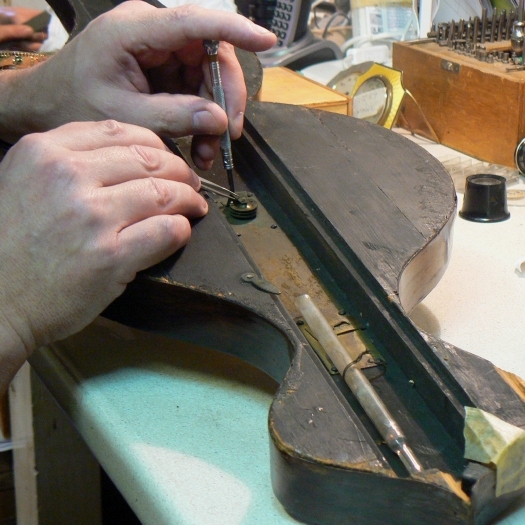 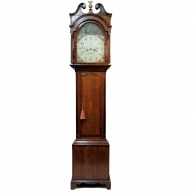 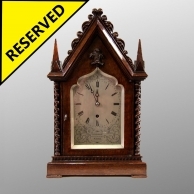 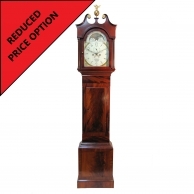 Barometers are a passion of Marks and he is meticulous in the work which he carries out. 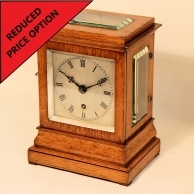 If you have a Barometer or Barograph that is need of repair, restoration or Valuing for insurance or probate then please contact us today for a free no obligation estimate.